I’ve been involved with Bitcoin since 2013, initially as a hobby, before working more and more with enterprises and startups through 2014 until it became formalized as my full time role mid 2015. I served as the Blockchain Strategy Leader for Financial Services at EY from that time until my departure in August 2018 after 10 years at the firm. In that role I coordinated a global team, overseeing the development and execution of services to financial institutions and startups in the blockchain and cryptocurrency industries. In that role and since, I have advised financial institutions, large enterprises, startups, regulators and policy makers on blockchains and cryptocurrency, assisting on custody, regulatory, control and security implications. I’ve also contributed to and led industry initiatives around digital identity and decentralized reputation systems, producing industry leading research for industry organizations. Prior to my shift to the blockchain world, I consulted to financial institutions primarily in regulatory compliance, in addition to years in process transformation, cybersecurity, analytics and fraud. I completed my studies in 2006 with Bachelor degrees from the University of Adelaide in Engineering (IT & Telecommunications), Finance, and a Masters in Science and Technology Commercialization, where I worked on a real time voice encryption device prior to the smart phone era. With my education and work experience, I was immediately drawn to Bitcoin when I first read about it in 2013 as I was drawn to its long term potential, as well as the many pitfalls that builders would come across as it became legitimized. I’ve been passionate about it ever since. I’m a passionate foster dad to rescue dogs, and in March 2018 I adopted my seventh foster pup, Erlich Borkman aka Derps. 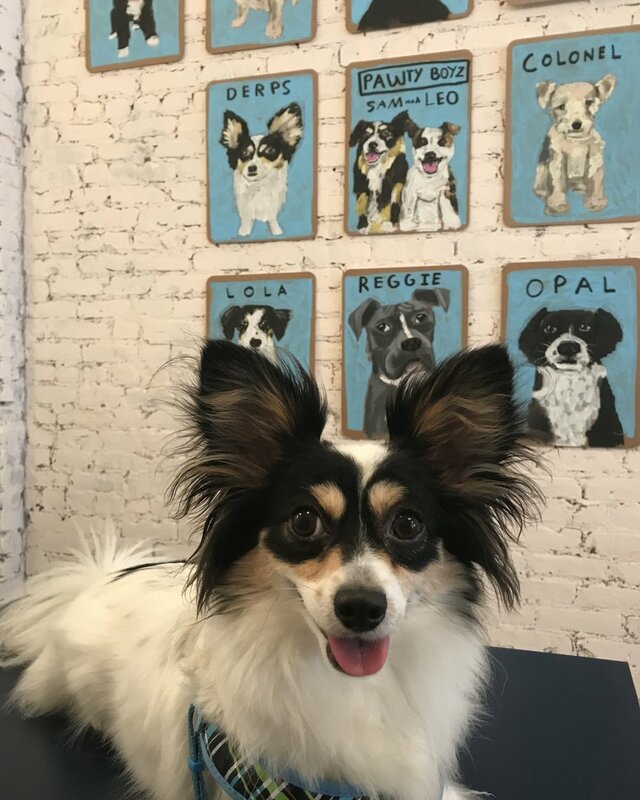 He’s a very handsome papillon jindo mix with enormous ears, googly eyes, and a penchant for licking every human possible. We spend far too much time at our favorite dog cafe, Boris and Horton, such that he’s earned a portrait on their wall. I’m a big fan of scotch whisky, try to tango when I can, and once upon a time used to play the saxophone quite well. These days, I’ve had to settle for trying to get my music fix through the various concert venues and jazz bars New York has to offer.